I cant figure out how the full toolbar can be view. I tried to toggle collapsed toolbar of and on however I am unable to see the either advanced toolbar or full (only some buttons I haven't selected at all). Meanwhile I can create the basic toolbar. Can anybody help me get the full toolbar? You probably need to configure CKEditor for a specific input format. You might have an easier time if you install WYSIWYG module AND the ckeditor editor. This setup will integrate better with the Media module for instance. 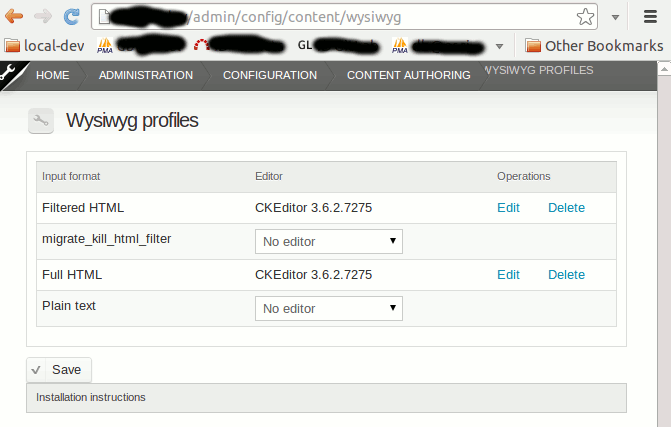 If you install WYSIWYG editor, you then can easily setup the editor per input format.